Another race season about to begin. We are, at the start of the season anyway, racing in the BARC Quaife Modified Saloons series which is based at Brands Hatch and one round at Snetterton. Aside from keeping the travel and hotel costs down, the races are shorter and only one driver and we can use whatever tyres we want. Down side is we are in class E and are way over the minimum weight limit. It will, hopefully weather permitting, get Riku some experience on slick tyres. 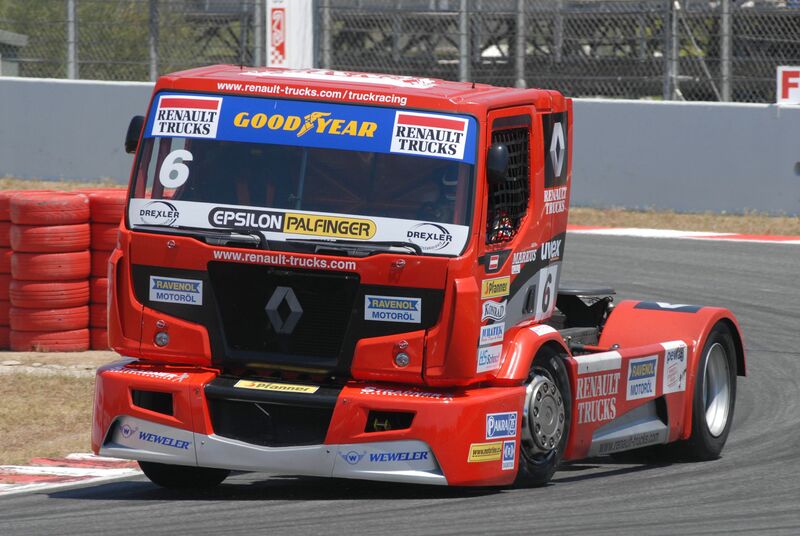 First race is this Sunday 26th March at Brands Hatch and its part of the truck race weekend so they are expecting big crowds (for some reason, truck racing packs them in!) No spare tickets as we get a small allocation. We are also qualifying on Saturday at 18.00 if anyone happens to be around then. We will be based in the outer paddock for this one. Wishing you both good success. We just got back after unloading- the paddock is mental! I have not seen such a busy race meeting outside the GP. Why the heck is truck racing so popular yet car racing generally attracts one man and his... well dogs are not allowed. weathers looking good Jules. Next race car then ? and a hundred thousand fans too. Hey have a good weekend and I hope the slicks work well for you. Well, seems the relaxed race weekends of last year in the CSCC are a distant memory.... we seem to have stepped up a gear in every respect. We arrived on Friday evening expecting a leisurely unload and set up in the Brands Hatch outer paddock only to find the place rammed so we had to set up on a tiny spare piece of tarmac seemingly in everyone elses way but as luck would have it we had a great neighbour. The huge transporter next to us belongs to 20ten racing who were there testing for BTCC Clio cup next weekend and had entered a similar Clio to ours in our race in order to get signatures for its young driver. Team boss Simon Hunt had little to do other than clean his transporter so helped us out with valuable advice and help on our set up which we were running on slicks for the first time. By the time our qualifying session started the sun had gone down and the temperature had dropped but Riku qualified 6th and first in class despite competing with a couple of very modified Clio's. He set a fast time but was not happy as he had a few moments but so did everyone else reportedly as the truck racing beforehand had left the track rather slippery. Simon gave me a list of stuff to change... it would be an early start to Sunday. on the 3rd lap he just tried to take Paddock to fast, hit the inside kerb and was heading across the front of the other car. despite appearances, no contact made! but spinning into the gravel almost rolled the car and pulled both right hand tyres off the rims! Back off the low loader then and a massive clean up to do. Gravel and dust had got everywhere but all seemed well with the car apart from the tyres so we would have to start the second race from the back on the old faithful Dunlop road tyres from last year. This time Riku made short work of a couple of cars and then got in a 3 way battle with another Clio and a Seat Leon that was in a faster class. It was the battle of the race, the commentator barely mentioning the race up front for the lead in his excitement. Watching from the pits, Riku would get alongside into paddock but lost out by the time he came around again -road tyres versus slicks. This continued for the whole race until...last corner, last lap the orange Clio and the Seat touched and Riku slipped past to take the win! Car is looking like a race car now, took more punishment in one race weekend here then 2 seasons in CSCC but at least the hard work paid off and we came away with something. Sounds like you learned a lot while having fun too. Send a copy off to the tyre manufacturer ....... you never know they may give you a few tyres or something. Sponsorship is key. Did you see the Tommy Byrne documentary at the weekend? Thanks Miles, took daughter along with camera for this one. Top work guys! I do enjoy reading about your adventures at the wheel and with the spanners. Keep it up, I love to hear about you guys punching above your weight and giving the others a bl**dy nose. He asked me to point out he was on road tyres while the others were on slicks!